How to Survive Halloween with Radiant Skin! Halloween is such a fun holiday in many ways, but it can also wreak havoc on your skin. A recent study showed that Halloween makeup and novelty makeup for children contained toxic heavy metals linked to serious health problems. All that sugar, too, from Halloween treats can damage collagen in skin and accelerate the appearance of aging. You don’t have to put your skin at risk to enjoy a fun costume, however, or a bit of trick-or-treating. By taking a few precautions, you can have a good time and wake up the next morning with your skin looking healthy and vibrant. Here’s how. 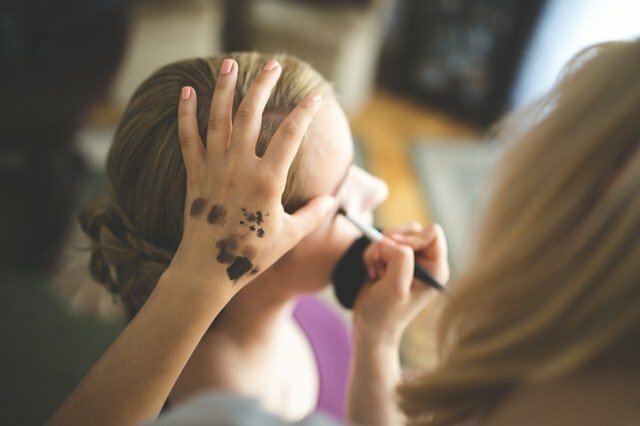 Most Halloween makeup kits are made cheaply and quickly, so they a) don’t contain ingredients that are good for your skin, and b) often contain things that are damaging to skin. Would you normally put artificial dyes, fragrances, waxes, and other ingredients on your skin that could clog pores, irritate skin, create inflammation, and encourage breakouts? Obviously not, but when you use cheap Halloween makeup, you’re doing just that. In addition to low-quality ingredients, some of these makeups contain toxic heavy metals. The Breast Cancer Prevention Partners (formerly the Breast Cancer Fund) analyzed a variety of Halloween makeup kids from around the country. They found at least one toxic heavy metal in nearly all of the about 48 palettes tested, as well as other potentially concerning chemicals. In nine of them, they found lead. The darker the color of the makeup, the more lead found. In addition, these products have typically been sitting on the shelf a long time. They’re sold mainly around this holiday season, which means they may be months or even years old-not good for your skin. Particularly if you have sensitive skin, you should steer clear of these products. If you’re prone to acne breakouts, you may experience them the next day, and those who tend to get red and irritated skin will also probably be unhappy with how their skin looks the next morning. Avoid the eyes and mouth: If you decide to use Halloween makeup, avoid your eyes and mouth so you don’t get suspect ingredients inside you. Wash thoroughly: When the night is over, wash your skin really well. Consider using a skin brush to get all the makeup completely off, then follow with a hydrating moisturizer to help soothe and restore skin. Our Calming Moisture is great for the job! Wear a primer: You may already use a primer before applying your foundation. Use it before applying Halloween makeup, too, as it creates a barrier between the ingredients in the makeup and your skin. Choose safer Halloween makeup: There are safer brands out there now that won’t clog your pores. Most are “theater makeup” products that are used by actors in plays and musicals. These products are designed to sit on the skin for longer periods of time, so they are often made with more quality ingredients. Make your own: If you Google “DIY Halloween makeup,” you’ll find a number of recipes that you can use to create makeup that’s much safer for you and your family. You can make your own fake blood, for example, by mixing corn syrup, flour, and food coloring. Choose your mask carefully: Many Halloween masks are made of rubber and vinyl that could irritate your skin. They may also contain toxic plasticizing ingredients. Choose wigs and hats instead, and if you choose to use a mask, make sure you moisturize your skin first, and consider applying a healthy foundation as well to provide a barrier between your skin and the mask. Finally remove it as often as you can throughout the night to allow your skin to breathe. It’s tough to resist all that candy flying around at Halloween, but if you can, your skin will thank you. Studies have shown that excess sugar in the diet can increase “cross-linking” in collagen fibers, which creates “glycation end products (AGEs).” The AGEs then go on to breakdown collagen and elastin, and that means more fine lines and wrinkles, as well as duller, sallow skin. When you eat a lot of sugar or carbohydrates, the foods break down quickly in the body, spiking blood sugar levels and raising insulin. The effect may be increased inflammation, which is linked with premature aging and wrinkles. In a 2012 study, researchers found that those with a higher blood sugar level looked older than those with lower blood sugar, and for every 1 mm/liter increase in blood sugar, the person seemed to age by 5 months. In a later study, researchers found that those who had the lowest intake of sweet, sugary treats were usually seen as looking five years younger than their actual age. Choose high quality dark chocolate with at least 70 percent or higher cocoa content. It’s rich in antioxidants, contains less sugar, and will help satisfy your cravings. Make healthy homemade treats: Apples with peanut butter or almond butter, cheese sticks on green peppers, pumpkin seeds, and cut-up veggies arranged in the shape of a witch or skeleton can all make eating fun without aging your skin. Deviled eggs: Decorate these with olives, paprika, and small veggie pieces to make them ghoulish and tasty! Snack bars: Find some healthy snack bars made of granola, dried fruit, nuts, and more. Jell-o: You can do so much with this one! Cut it into shapes with cookie cutters, or add raisins, whipped cream, or cut-up carrots to create monstrous faces. Spiced popcorn: Popcorn is a healthy treat anytime as long as you keep the oil content low. You can flavor it as you like with paprika, salt, red pepper, a little Parmesan, cinnamon, allspice, and more, and feel free to add in a few nuts and dried fruit pieces. How will you protect your skin this Halloween? SourcesKeely Chalmers, “Tests find toxic metals in children’s Halloween makeup,” USA Today, October 26, 2016, https://www.usatoday.com/story/news/nation-now/2016/10/26/toxic-metals-childrens-halloween-makeup/92759186/.“Pretty Scary 2,” Breast Cancer Fund, October 2016, http://www.safecosmetics.org/wp-content/uploads/2016/10/Pretty-Scary_2016.pdf.Kaitlyn Mclintock, “Alert: This Halloween Makeup Product Could Ruin Your Skin,” Byrdie, October 19, 2016, http://www.byrdie.com/halloween-makeup-ruin-skin.Dana Oliver, “Beware, Your Halloween Makeup Could be Toxic to Your Skin,” Style, October 14, 2015, http://www.huffingtonpost.com/entry/halloween-makeup-toxic-sensitive-skin_us_561e8118e4b028dd7ea60466.Danby FW, “Nutrition and aging skin: sugar and glycation,” Clin Dermatol., Jul-Aug 2010; 28(4):409-11, https://www.ncbi.nlm.nih.gov/pubmed/20620757.Felicity Thistlethwaite, “Eat your way to younger skin: Every time you eat sugar, you gain a wrinkle,” Express, August 27, 2015, http://www.express.co.uk/life-style/diets/600925/How-to-get-rid-of-wrinkles-eating-diet-sugar-caffeine-bad-for-you.